Damoh is a town in the Sagar Division in north-eastern Madhya Pradesh in India. The town is located 260 kilometres (162 mi) east of state capital Bhopal and is situated south of Tikamgarh. It is the administrative headquarters of Damoh District. Damoh is located at 23.88°N 79.45°E﻿ / 23.88; 79.45. It has an average elevation of 595 metres (1952 feet). The town has a significant cattle-market and a number of small industries such as weaving, dyeing and pottery-making. 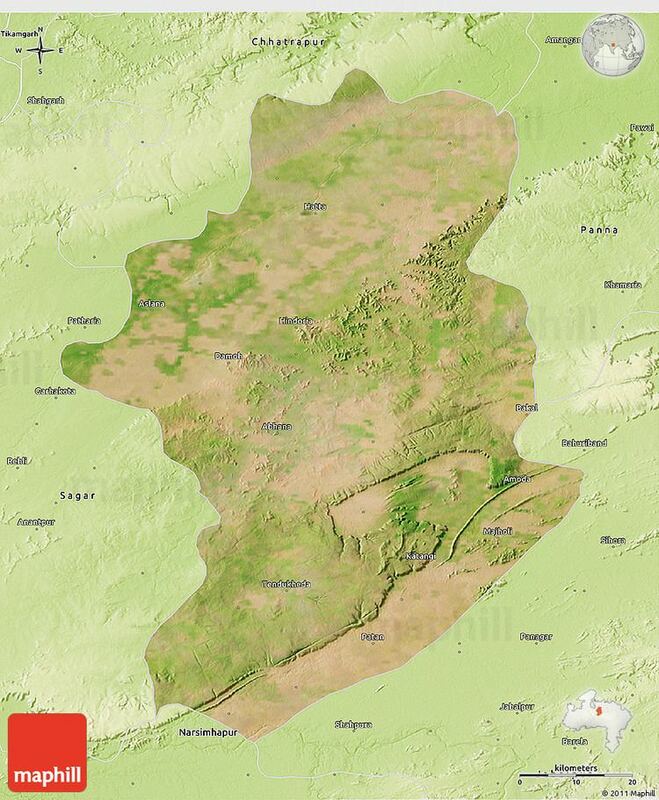 The district of Damoh has an area of 7,306 km2. Except on the south and east, where the offshoots from the surrounding hills and patches of jungle break up the countryside, the district consists of open plains of varying degrees of fertility, interspersed with low ranges and isolated heights with the richest tracts in the centre. This place has long history dating back to ancient times excavated. Stone Age tools found in Singrampur Valley are testimony to the fact that this place was the cradle of human civilization and habitat since millions of years. In more recent times, around the 5th century, it was part of mighty grand empire of Guptas of Pataliputra, It was established by the plaques and coins along with various monuments found in the region belonging to the reign of Samudragupta, Chandragupta, and Skandgupta. From the 8th to 12th centuries some parts of the Damoh district were parts of Chedi Empire ruled by Kalchuri dynasty from capital Tripuri. The magnificent temple at Nohta is a living example of the glory of Kalchuries in the 10th century. Historical evidences also proves that some regions of the district were under the Chandels of the Jejak -Bhukti. The 14th century heralded the era of Muslim rule in the region and stone carving at Salaiya and Batiyagarh mention Khilzi and Tuglaq as Sultans. Later on, the Sultan of Malwa annexed the region into his fold. In the last quarter of the 15th century, Sangram Shah of Gond dynasty annexed the region into its dynamic and mighty empire consisting of 52 forts. It was the era of peace and prosperity for the region. In Singrampur, Rani Durgawati attained martyrdom battling against the might of Mughal Empire represented by its General Asaf Khan along with his army. Her zeal to retain integrity and sovereignty of a kingdom is unparallel in world history. Bundelas entered into the region for a brief span after which Marathas took over the reigns in 1732 and remains The ruler uptill Britishers annexed Marathas kingdom after the death of Peshwa in 1888. In the struggle for freedom from Brithishers, Damoh kept pace with national devotions and under the able leaderships of Thakur Kishore Singh of Hindoria, Raja Devi Singh of Singrampur, Pancham Singh of Karijog, Gangadhar Rao, Raghunath Rao, Mejban singh, Govind Rao, and some others fought against the British rule in its rebellion in 1857. According to legends Damoh got its name from the name of the Queen of Narvar Rani Damyanti, wife of Raja Nal. 304–232 BCE: Prince Ashoka, governor of Avanti, married Devi, the daughter of a trader of Vidisha. The Ashoka's inscriptions found at Sanchi and Rupnath in Jabalpur District. 3rd-4th century: Vakatakas originate from Bundelkhand, Vagat region of Tikamgarh District. They had the control till the 4th century. 10th century: Buddhist idols of Bansipur and Kunvarpur. 11th century: Nohta temple built. 1182: Chauhan King Prithviraj III attacked Mahoba, brave fight put-up by the Banafer brothers Alha and Udal, generals of Chandela Parmardi. 12th century: Jain temple built at Gajanan ki Toria. 1290-1315: The Khiljis had the regional administrative center of the Chanderi province at Batihadim (Batiagarh) which was transferred to Damova (Damoh). Damoh fort inscription. 14th century: Muslim rule inscriptions at Salaiya and Batiyagarh mention Khilji and Tuglaq as Sultans. 14th century: Sahanpal Bundela captured Garhkundar from Khangar king. 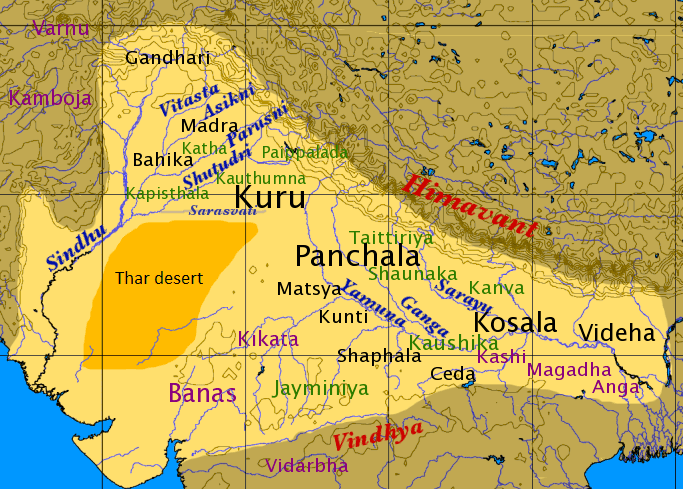 1506: Taran-swami of Bilahari founds Taran Panth. 1531: Rudra Pratap Singh made Orchha his new capital. 16th century: Kurmi Kshatriya immigrants from the Doab arrive in the Gond kingdom. 1543: Chandella Kirat Rai's daughter Durgavati married to Gond ruler Dalpat-Shah of Garh Mandla. 1569: Durgavati killed in battle with Asaf Khan. Early 17th century: Delhi returned half of the territory to the management of the Garha-Mandla Rajas. 1649-1731: Bundelkhand Kesri Maharaja Chhatrasal. 1700: Kundalpur temple repaired with support from Chhatrasal. 1731: Some of region given to Marathas, as part heirs to Chharasal. 1735: Maratha governor at Sagar. 1757: Bahoranji, a dealer in precious stones, had a 13th-century Jain temple renovated at Damoh and a pratishta conducted to earn the title Singhai. 1780: The governors of Saugor, known as the Maratha Pandits, did annexed Gond kingdom. 1781: Jabalpur was selected as Maratha headquarters.
? :Jageshwar Mahadev Shivalinga found, temple built. 1798: The peshwa granted the Nerbudda valley to the Bhonsle princes of Nagpur. 1818: During the Governor-Generalship of Lord Hastings the rule of Sagar passed into the hands of the British. 1854: as the Maratha kingdom lapsed to the British for lack of a recognized legitimate heir. 1857: The 42 NI and 3rd Irregular Cavalry stationed at Saugor rebelled on 1 July. 52 NI at Jabalpur rebelled on 28 September. At Jabalpur the Gond Raja family, who were the last surviving descendants of the Garha-Mandla dynasty, prepared to revolt against the British. Their plans were discovered and both' the father, Shankar Shah, and his son, Raghunath Shah, were blown from guns. Raja Kishore Singh Lodhi of Hindoria, Raja Devi Singh of Singrampur, Pancham Singh of Karijog, and others fought against the British rule in its rebellion in 1857. Sir Hugh Rose assumed the command of the Central India Field Force on 17 December 1857. Finished in May 1858. In 1861, Damoh was constituted as part of Central Provinces under the British Empire in India and was demarcated as a separate district. By the year 1867, Damoh was constituted as a municipality with a population of about 2,62,600. The town was situated on the railway lines completed between Jabalpur and Allahabad also in 1867. In the period 1896-1897 and again in 1900, Damoh suffered severely from famine. By 1899 the India Midland Railway had completed the construction of Sagar-Damoh link and Damoh-Katni link. The famous Hindi writer and distinguished freedom fighter Seth Govind Das jailed in Damoh in 1923, while in jail he pens famous Hindi plays such as s ‘Prakash’, ‘Kartavya’, ‘Navras’ and ‘Spardha’. In 1929, Acharya Shantisagar visited Damoh after returning from Kundalpur. He then left for Orsa and Bansa. That was the first visit by a Digambar Muni to Damoh after several centuries. In 1933, Mahatma Gandhi visited Damoh. On 18 July 1946 Sagar University was established as the regions primary centre for higher education. In 1947, with India's independence from British Raj, the Central Provinces were reorganized as the state of Madhya Pradesh. The quaint town of Damoh had its first degree college established in 1961 by Shiksha Prasar Samiti, a volunteer organization. 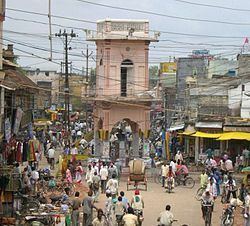 Damoh's population was recorded as 8,98,125 in the 1991 Census of India. The figure was had reached 10,81,009 by the 2001. Damoh Railway Station (Station Code:DMO) is the only railway station in the city serves a few trains for Delhi, Mumbai, Jaipur, Amratsar and Howrah, situated between Katni and Bina Junction. Damoh is well Connected by road to Bhopal, Jabalpur and Chhatarpur. Damoh to bangaon, patouha, and Hatta.